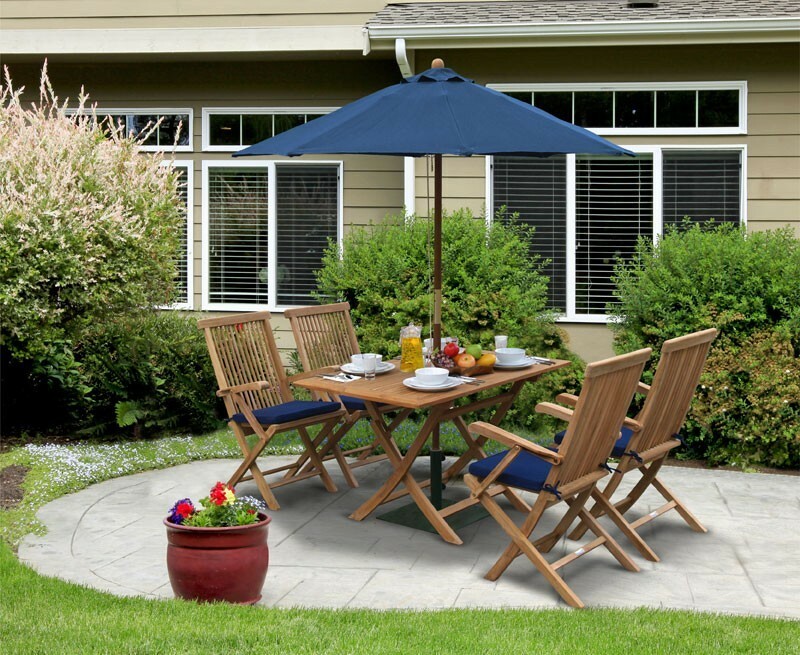 This outdoor dining set with rectangular table and folding chairs offers the luxury of enjoying meals with family and friends without compromising on space. 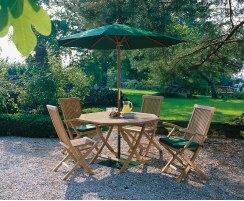 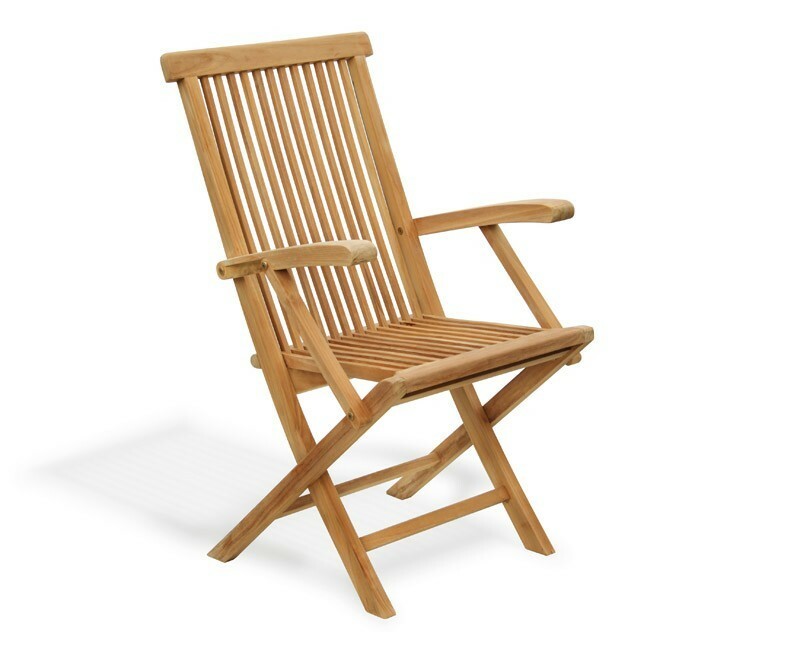 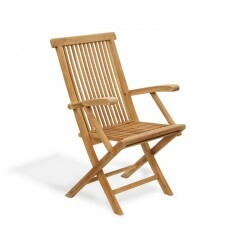 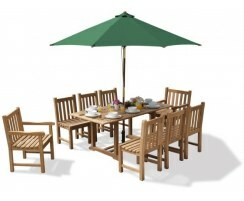 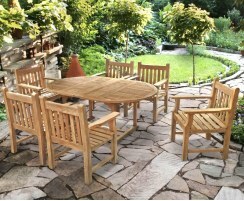 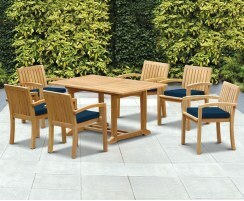 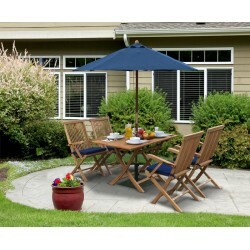 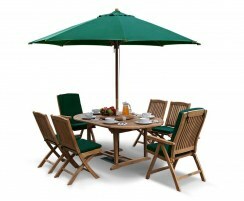 This four seater garden dining set is comfortable, stylish and practical – perfect for alfresco dining and entertainment. 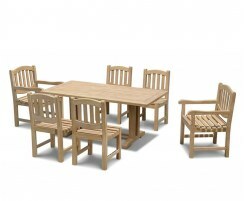 Requiring only minimal maintenance, this dining set has been built to the highest spec, with a functional, traditional design. 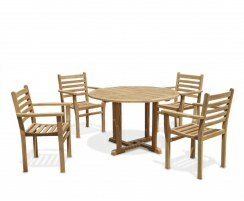 Crafted from sustainable grade-A teak with solid brass fittings, this dining set has been built to stand the test of time. 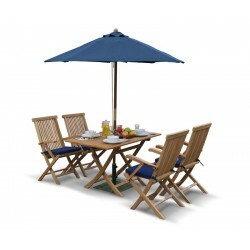 This folding four seater teak dining set can remain outside all year round, no matter the weather, although it features a clever folding design so you can store it away, reclaiming your space should you need to. 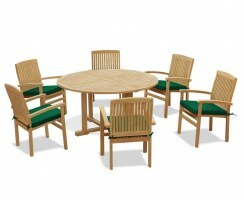 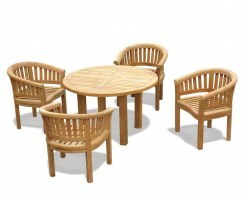 This garden patio teak dining set with armchairs will be delivered fully assembled for your immediate pleasure. 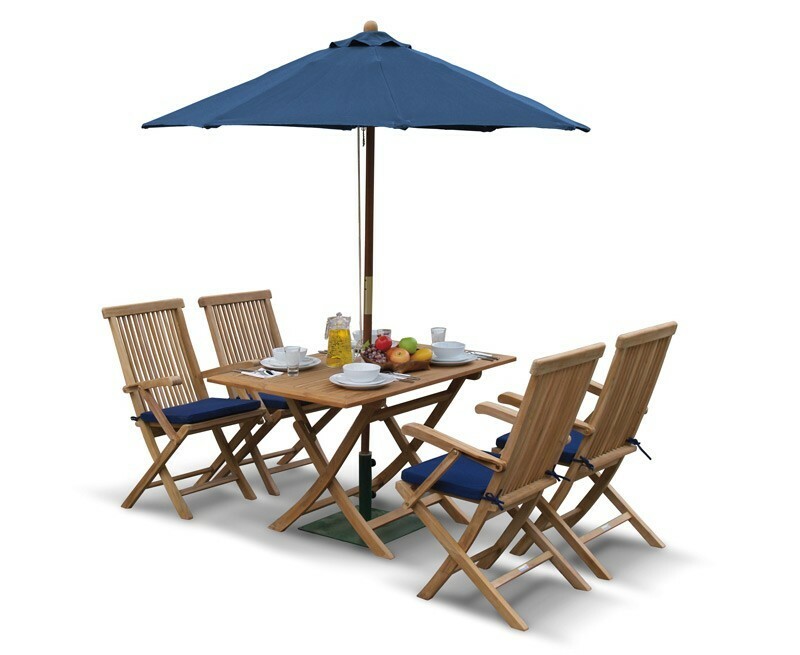 Why not add a splash of colour to your patio dining set with the addition of cushions and a parasol and base (not included, available separately).